Creating the wedding of your dreams is what you research and search the web for months to make it perfect! There is a lot that goes into your wedding; small details from decorations, seating arrangement, cake, and even the wedding send off are major points to address with your planner. The wedding day is one of the most important days in your life and we would like to help you check off one key detail most people do not address. The wedding send off. The story behind wedding exit ceremony dates back to the Roman Times. The traditional item to use during the wedding toss was rice. Rice grains were and are believed to symbolize fertility of crops and for the couple themselves. Tossing uncooked starchy vegetables meant to bless the newlyweds with prosperity, good fortunes and memories. We have compiled a list of the hottest ideas in our current wedding season from the top wedding novelty item sites. 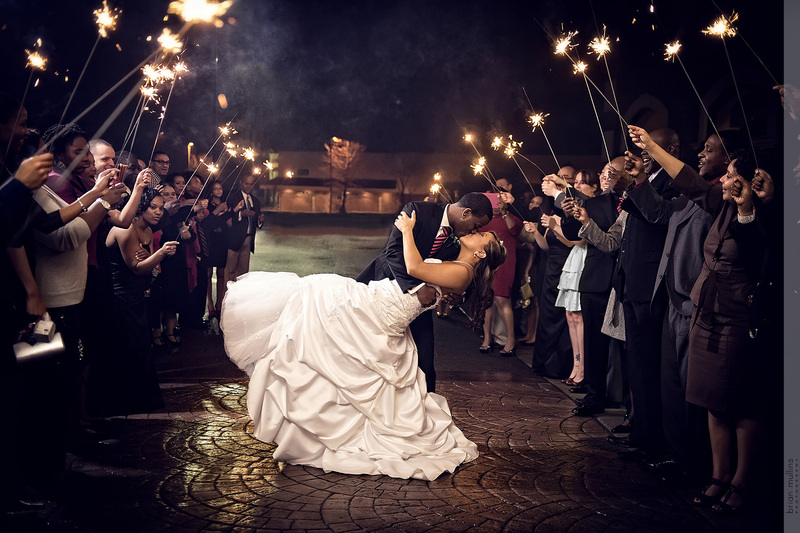 This United States based company provides the highest quality wedding sparkler on the market. The industry is flooded with many companies that imitate the product; however, produce poor quality sparklers. 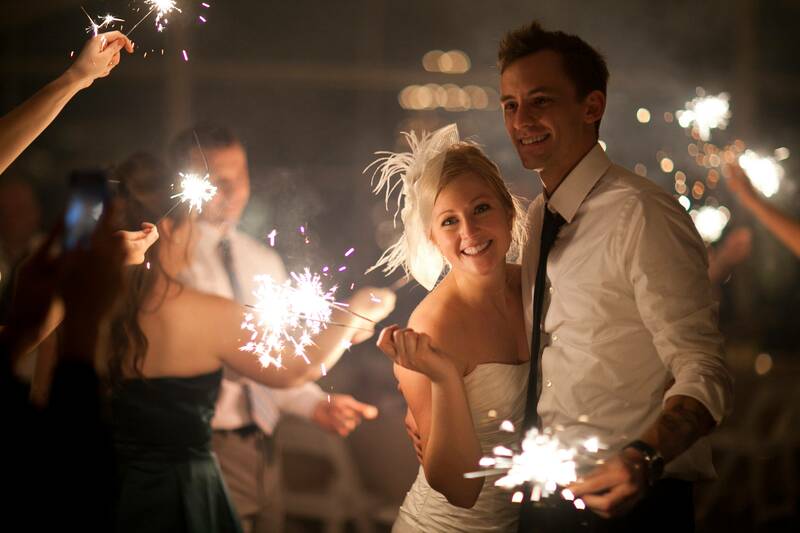 The wedding sparklers at Grand Wedding Exit are made in the USA with biodegradable ingredients. The process of making the sparklers are Eco Friendly and shipped nation wide. During the manufacturing process, the steel wire core sparklers are tripled dipped to ensure strength and durability. These are the only wedding sparklers to sparkler this bright with virtually no smoke or ash. Making this the go to item for weddings though out the year with brides and event planners.One of the pros for Grand Wedding Exit is that we have 15% off on all products and free shipping on all orders. Also known as #36 and Long Wedding Sparklers, these are the most purchased item in the wedding sparklers category. The 36 inch long wedding sparklers burn between three and half to four minutes. This allows more than enough time to take an abundance of photos walking down the exit and videos with the sparkler effects. The 20 inch wedding sparklers are refereed to as the #20 and short wedding sparklers. These are the perfect sparklers for wedding parties that are between 50-150 wedding guests. They offer optimal burn time of two and a half to three minutes. 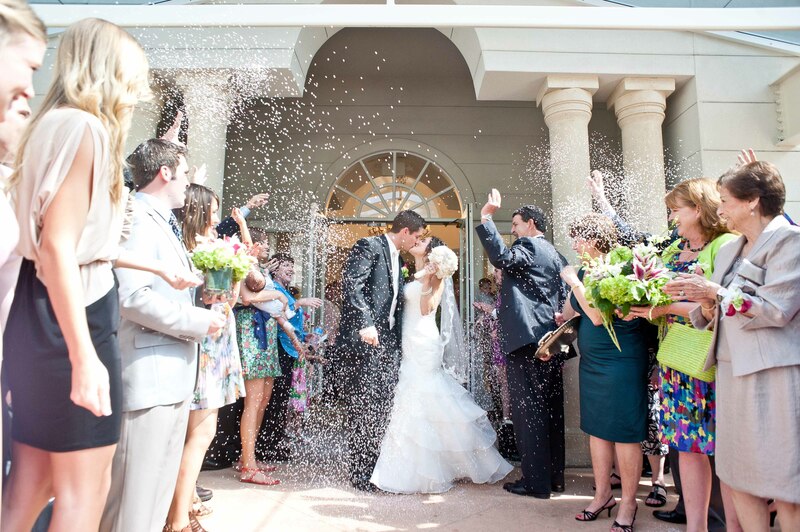 The bright sparkler with your large wedding party will engulf you with fairy tale sparklers on your wedding day. 10 inch wedding sparklers are a hot item among smaller wedding parties and children(with adult supervision of course). The 10 inch wedding sparklers are also known as Premium Sparklers and 4th of July sparklers. These mimic the size of the 4th of the July Sparklers; however, they are far more brighter and stronger than the cheap Chinese made holiday sparklers. The custom Heart Sparklers are still new to the wedding industry; furthermore, we are the only company in the nation to offer these custom Heart Sparklers at the wholesale price. 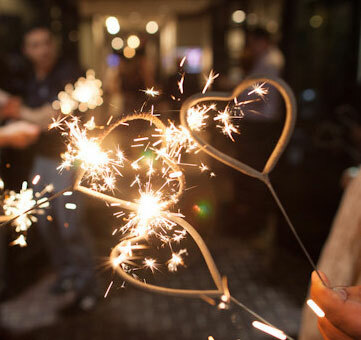 Our Heart Sparklers enlighten the event through the entrance, exit, or as hand out favors. They recommend using 2 heart sparklers per guests. When you are trying to figure out the best way to let your favors and sparklers shine; the most aesthetic way to do so is to use the Wedding Sparkler Buckets. 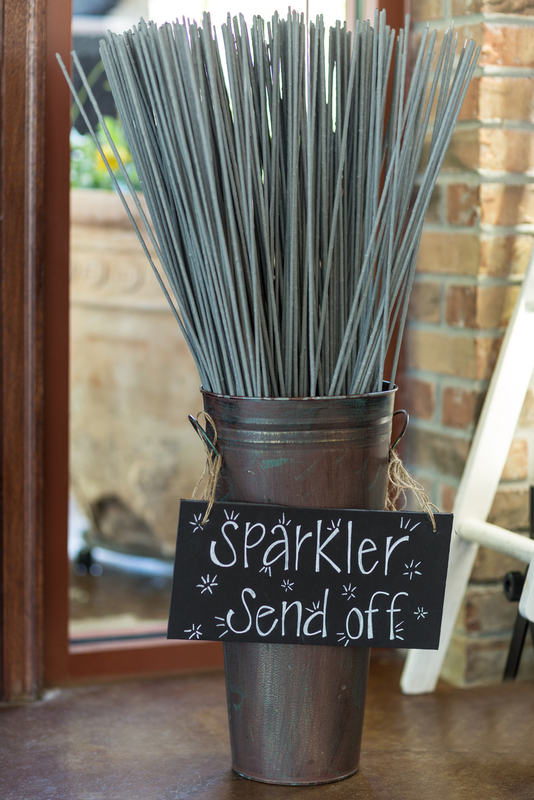 They allow ease for preparation and disposal of your wedding sparklers. They look great when filled with sparklers. And make clean up a breeze after the ceremony. The company has locations throughout the the East Coast of the United States of America and ship nationwide. They offer a variety of products and favors. All of their products are packaged and distributed throughout the USA. Wedding Exits offer 24/7 online and phone support.Wedding Exits offer wedding tags complimentary to customers with all qualifying orders! They also enable you the choice of free shipping on all products on their site. The Dessert Cake Sparklers from Wedding Exits offers the alternative to the traditional candles. Every celebration needs that extra ordinary touch. 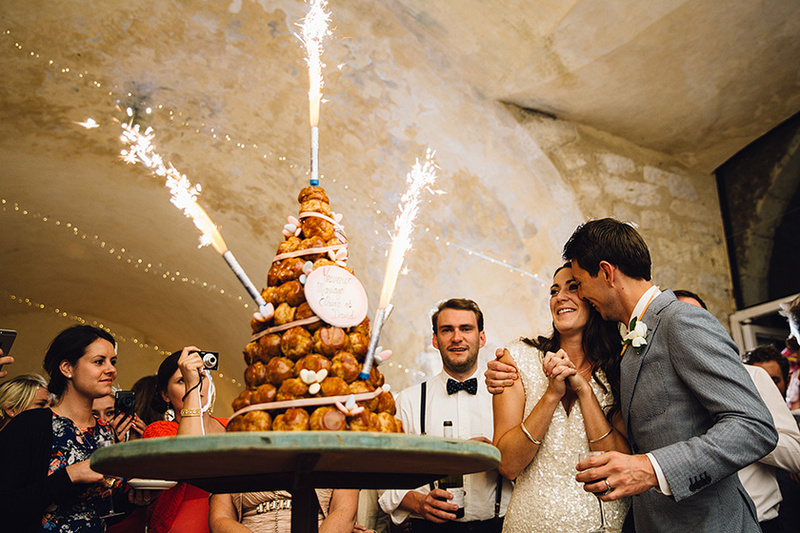 The Cake Sparklers do just that. Dessert Sparklers from Wedding Exits have been showcased in restaurants and celebrity parties nationwide. These Birthday Candle Sparklers sparkler between thirty to thirty five seconds. 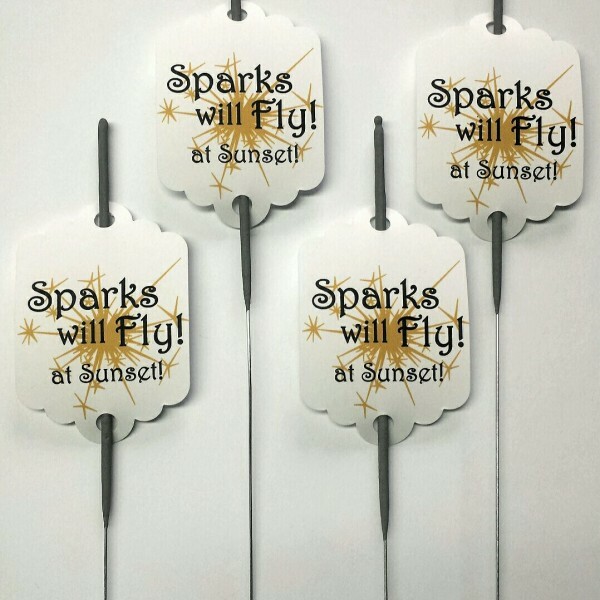 Wedding Exits are the only company in the Wedding Favors market to offer customization wedding tags to use on Wedding Sparklers and other favor ideas. The Wedding Tags can be tweaked to your specific needs. Whether you want the time, date, or a special note on the tags; Wedding Exits can complete the custom task. The more unique your send off is the better your overall experience is for not just you but your guests as well. The easiest way to incorporate many colors to your wedding event would be to use the brightest Glow Necklaces available from Wedding Exits. 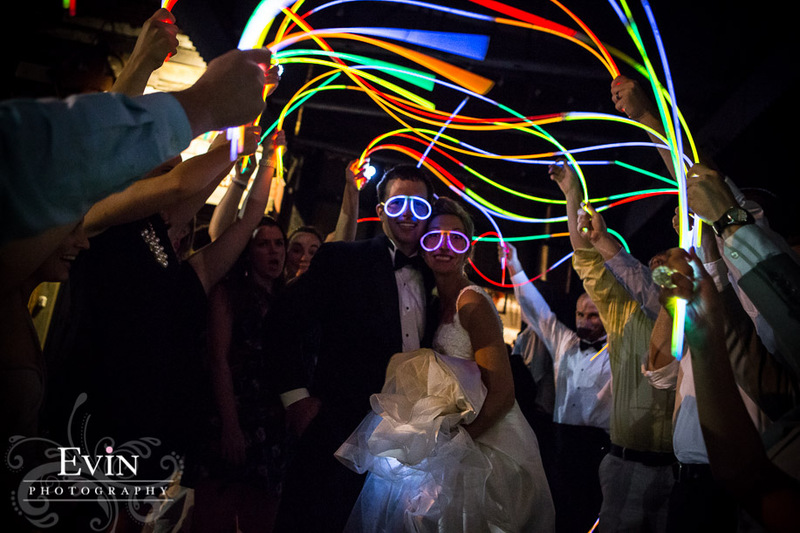 The Glow Necklaces are a trendy accent to night wedding and exits that have a raving color scheme at the party! This Florida based company focuses strictly on making and distributing sky lanterns the the entire world. Sky lanterns are part of a century long tradition brought from many different groups around the world used for celebrations and to influence hope to events and memories. 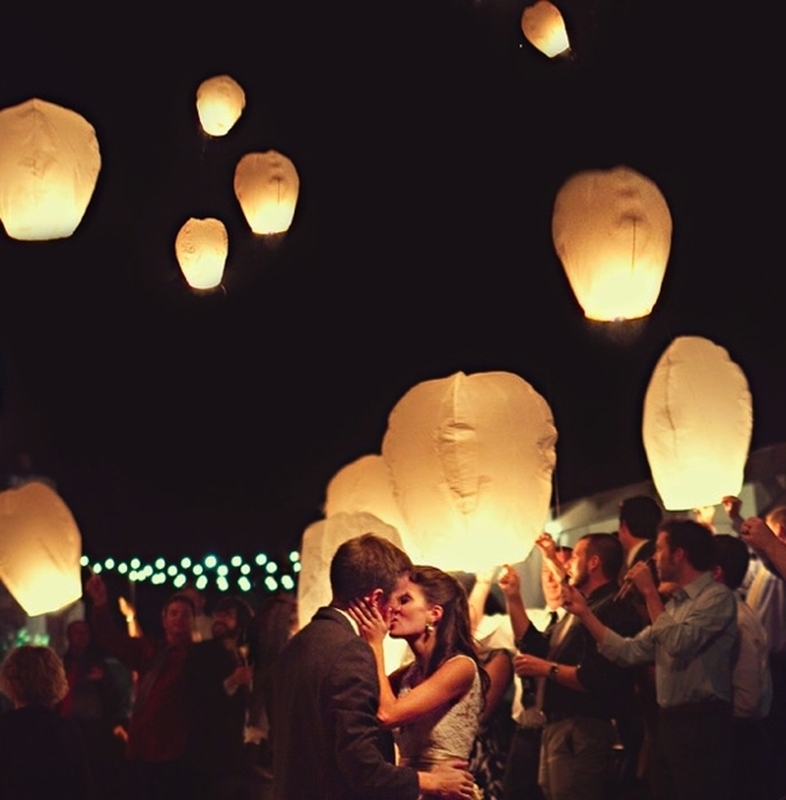 Wish lanterns are used in send offs nationwide to bring joy to wedding and events throughout the year. Also known as Chinese Sky Lanterns, Floating Lanterns, Wish Lanterns, and Floating paper Lanterns. Sky Lanterns glow in the dark higher into the horizon. The Sky Lanterns from Sky Lanterns For Sale are made in the USA and offer the highest grade materials to allow the glow to show true through the night and float higher than other Sky Lanterns. Sky Lanterns For Sale supply the sky lanterns at a competitive price and offer expedited shipping options to get you the lanterns as soon as possible.